One of the most satisfying aspect of traveling is the ability to experience unique adventures in the destinations you visit. 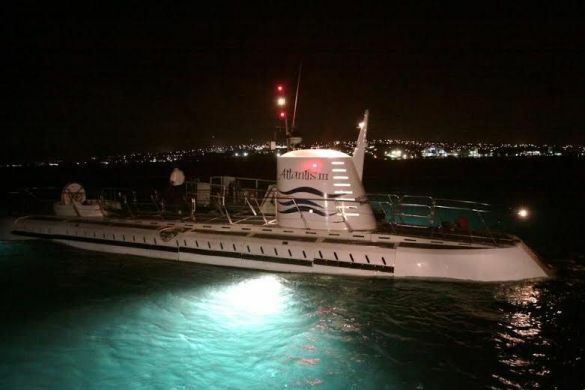 For travelers to Barbados, we highly recommend a thrilling submarine dive! Atlantis Submarines offers tours in only a select few Caribbean islands, so you definitely don’t miss out on this limited opportunity to discover the undersea beauty of the Caribbean. Many visitors and locals enjoy swimming with turtles and snorkeling over shipwrecks and tropical reefs, but experienced, trained scuba divers are usually the lucky few who get to go deeper and see the grandeur of the ocean’s depths and the creatures that make this their home. But when visiting Barbados you can experience this undersea world from the comfort and safety of the submarine, diving to depths of 150 feet to explore colorful coral formations and tropical marine life. Through large viewing windows you’ll spy a kaleidoscopic of small fish, larger barracuda, a variety of coral, sea fans, sponges, eels and turtles. You’ll gently glide by the entrancing Freshwater Bay Coral Reef, over 20 million years in the making, and perhaps spot a shipwreck a much more modern addition to the seascape! The popular day dives are offered at various times through the day and are a real thrill, but for an even more exciting escapade book yourself on the night dive (or both for 2 stunning dives). You’ll see the night predators that hide away during the day and get a different view of the coral reefs as revealed by the submarine’s spotlights. As a treat upgrade to the VIP option for priority boarding and preferential seating as well as personalized service and refreshments after the dive! 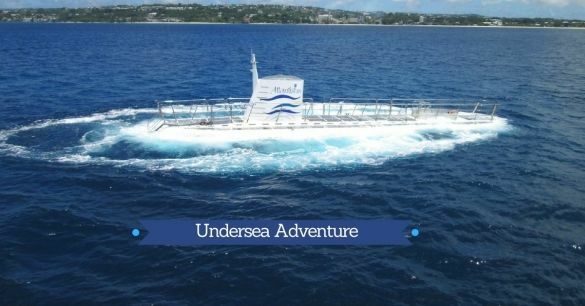 Start planning a submarine adventure for your next Barbados visit!